Looking for a last minute Father's Day gift? The boys & I made this great gift in no time at all (well maybe like 8 minutes). Quick & reasonably easy, this is perfect for and Dad or Grandpa. 1) Create the props. We painted the lettering & cut out the heart. 2) Allow props to dry. We didn't. Trust me, you will not want to skip this step. There is currently blue paint on our table, the stairs, my hands, the toddler's shirt & the baby. 3) Scope out & head to your photo shoot location with the children. Make sure they aren't playing with a bunch of neighbourhood kids or this part will take an extraordinarily long time as you try to patiently and politely get said kids out of the shots. 4) Print photos, place in frame & voila! 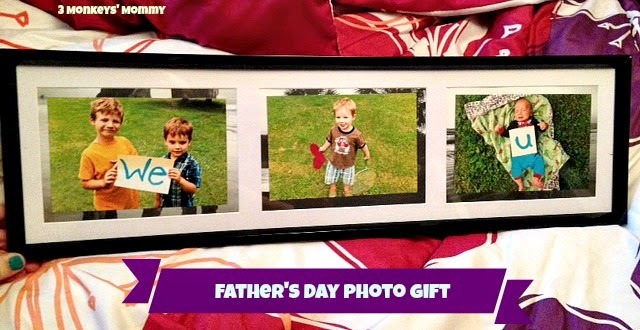 One quick, easy, homemade, inexpensive gift for that special Dad in your life! 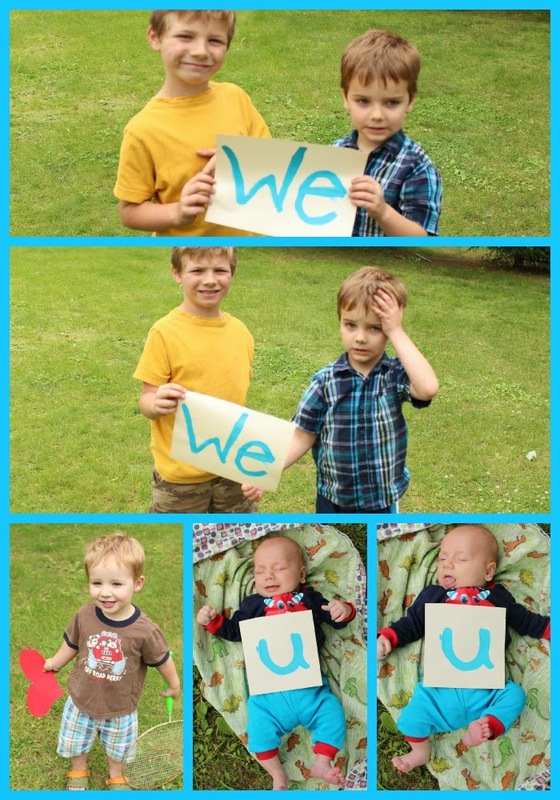 None of these beautiful kids were overly willing to participate, so we made do with what we got for photos. (Two or three of the neighbour kids were!) It was hilarious trying to get usable photos, and the baby is almost crying in his part, but I guess it captures reality. Ain't no baby got time for that.